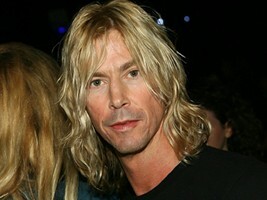 Former Guns N’ Roses star Duff McKagan has undergone sinus surgery to remove scar tissue which built up during years of cocaine abuse. The Velvet Revolver rocker – who turned his back on substance abuse in the mid-1990s – checked into a hospital this month for a mystery operation, prompting some gossips to suggest the musician was once again taking drugs. McKagan has now spoken out to dismiss rumors of a relapse and he’s revealed the procedure was necessary to repair the damage caused by his battle with illegal substances.